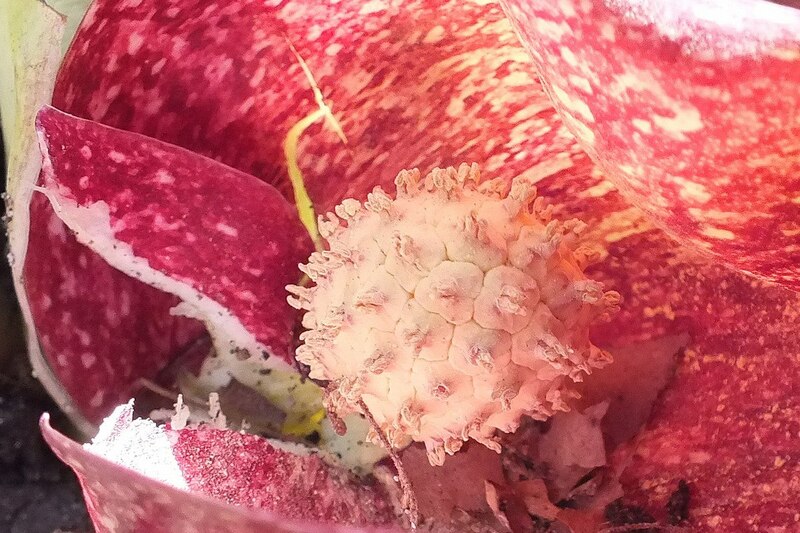 I have lived in Ontario my whole life, and despite trekking through the bush as a child, and doing endless hikes as an adult, this past spring was the first time that I have ever come across a Skunk Cabbage plant at Cootes Paradise, in Hamilton, Ontario…lots of them, in fact. 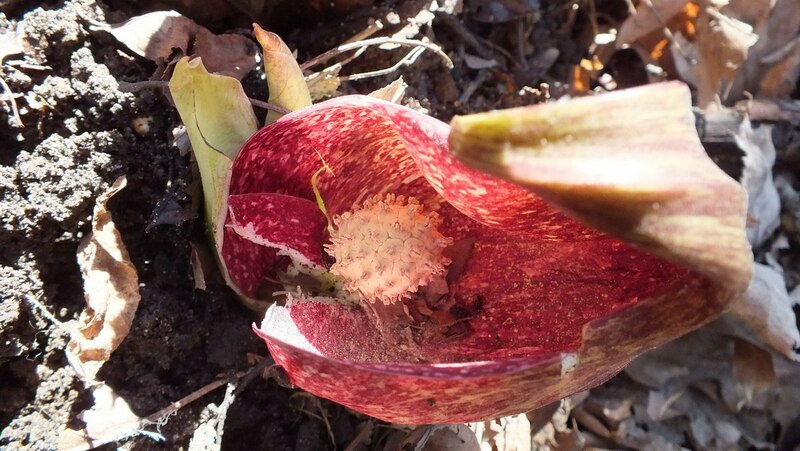 Bob and I found the patches of Skunk Cabbage where melt water from the winter’s snow had accumulated in a small gully. 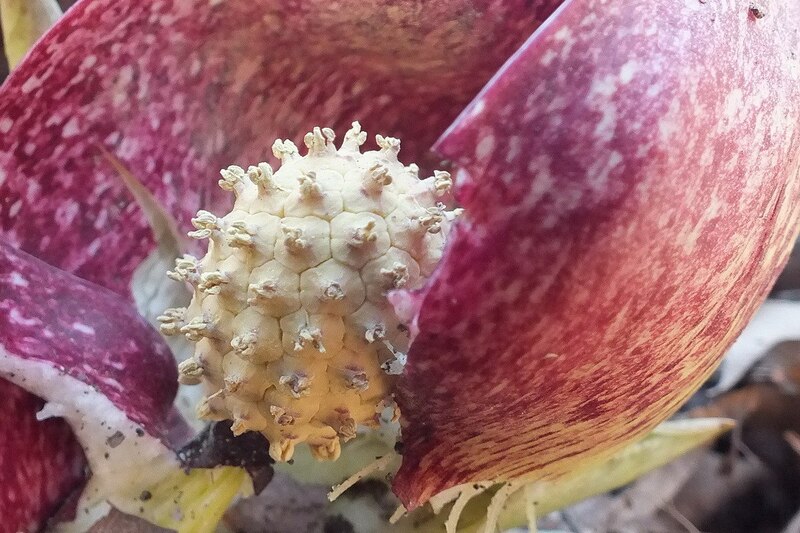 Skunk Cabbage has been widely used over the centuries as a medicinal plant. In the 19th century, a drug extracted from the plant was used to treat dropsy, rheumatism, respiratory diseases and nervous disorders. Indigenous people of North America also used the plant as seasoning in soups and stews, but only after the leaves were dried. 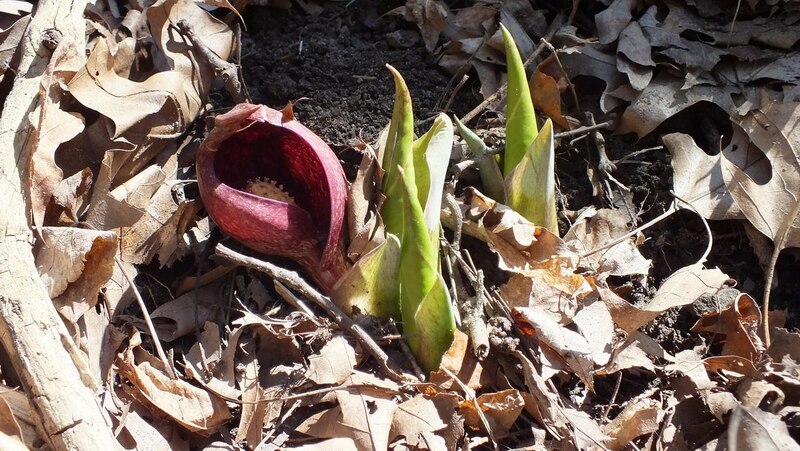 Early in the growing season, the stems of the Skunk Cabbage remain below ground. 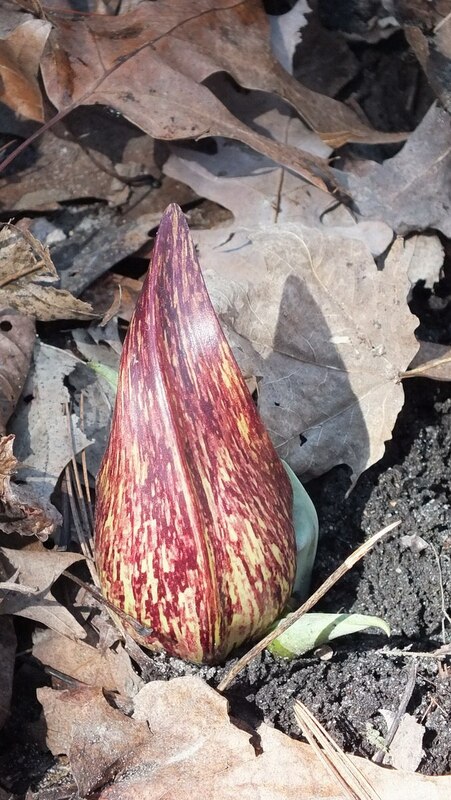 The broad, flat leaves will emerge later and will grow to a large size…up to 21 inches long and 16 inches wide. 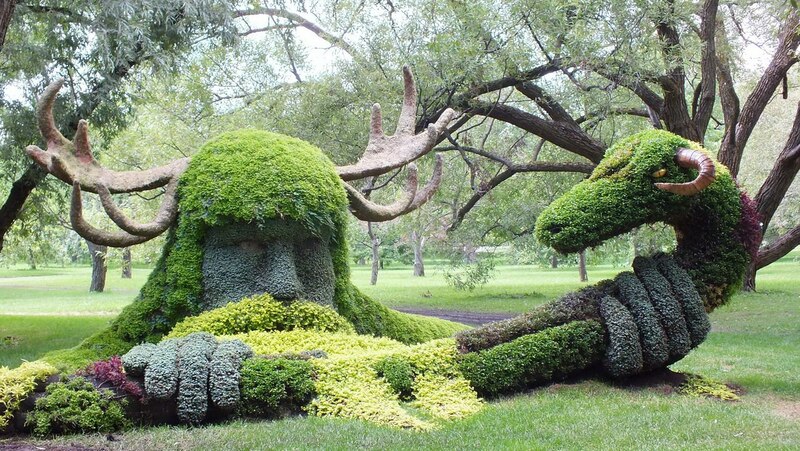 Each plant can achieve a breadth of 3 feet, making for a very lush, green clump of greenery on the forest floor. En masse, they would be downright tropical in appearance. Hi Candy. I’m glad you enjoyed the blog. 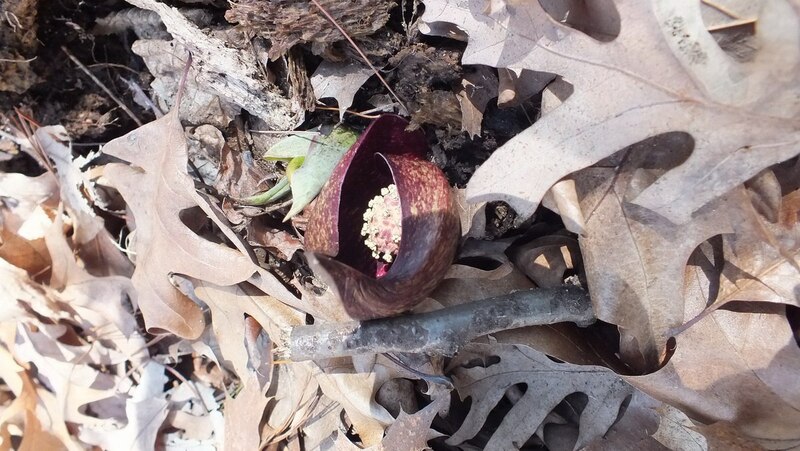 By coincidence, the same weekend as Bob and I discovered the skunk cabbage, my daughter came across some in an area adjacent to the Humber River here in the city. I don’t know how I missed them over the years. They are quite an intriguing plant. That’s the way I look at it, too. So many wonderful miracles occur in nature, and most people just take them for granted. I’m glad you enjoyed viewing our blog. I am so very grateful that you took the time to do photos + share. Nature has so many wonderful things that when I get tired of human behaviour I just feast on treats such as your amazing story. Read about them in The Toronto Star this year [article by Bream] and I was stunned & started doing research on them but these are the most beautiful images that I have seen. Once again, thanks! You are welcome. We appreciate your kind comments. 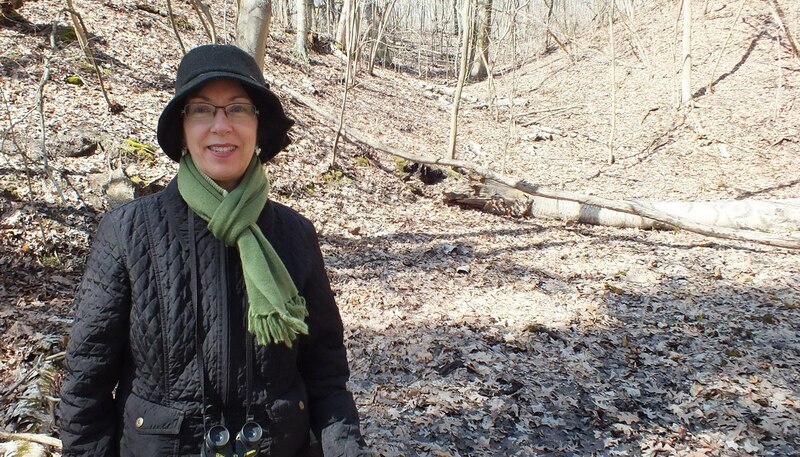 I find nature truly inspiring and love nothing more than getting outdoors to revel in the wonder of the plants and wildlife. So much beauty surrounds us if we just take time to look for it. I am busy thinking ahead to seeing Skunk Cabbages in 2014. I called the RBGardens & suggested that maybe they could put on a little tour for those who wanted to see the ones that grow near the Marsh Trail and I wondered if you could be the guides? Heh-heh! Seriously, it is wonderful to share your knowledge. I am a mover & shaker! 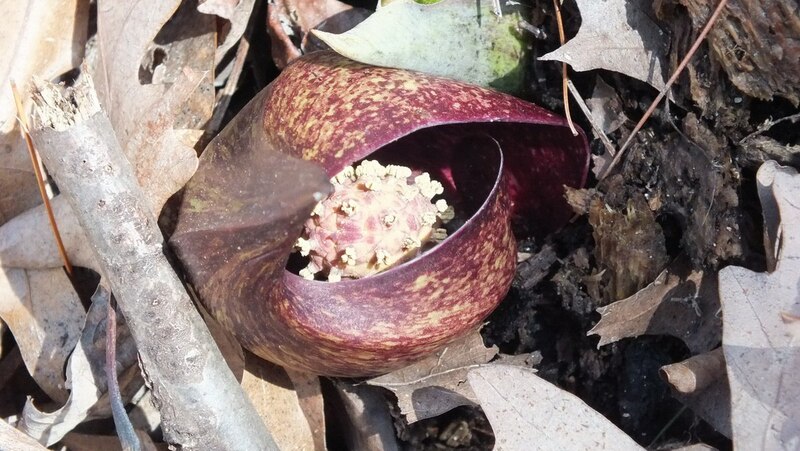 How else can a city senior see the Skunk Cabbage? That is my goal for 2014, more should be done to publicize these spectacular plants that are as brief a beauty as the Shakura Cherry blossoms that I go to see on May 6th. in High Park. Thanks for your comments, Phyllis. 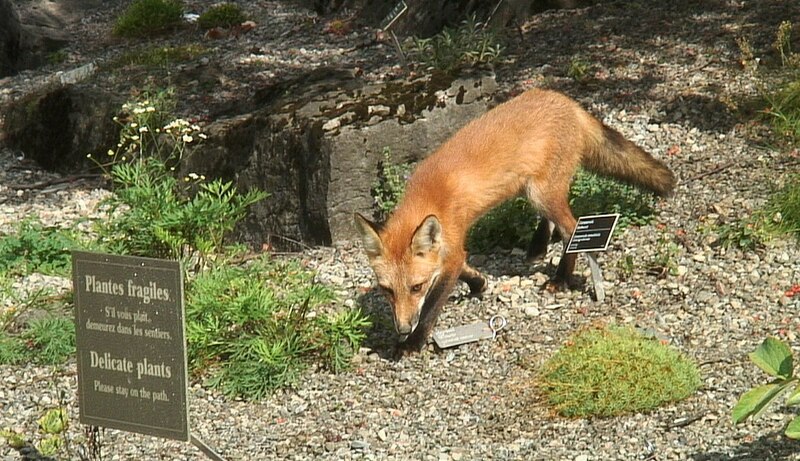 Your suggestion that the Royal Botanical Gardens do a guided tour featuring the numerous varieties of spring wildflowers and plants is a good one. 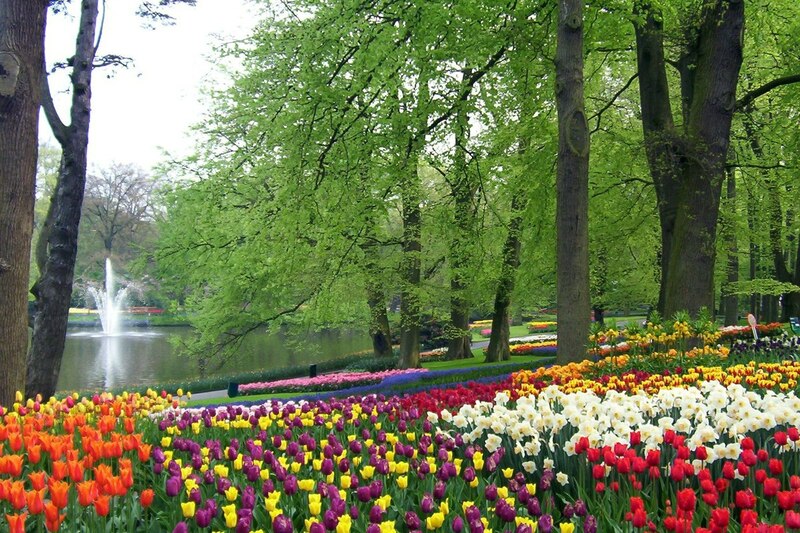 We do not live near the gardens, so wouldn’t want to commit to being the guides. Thanks for the vote of confidence, though, in our abilities to share our knowledge. It is much appreciated. 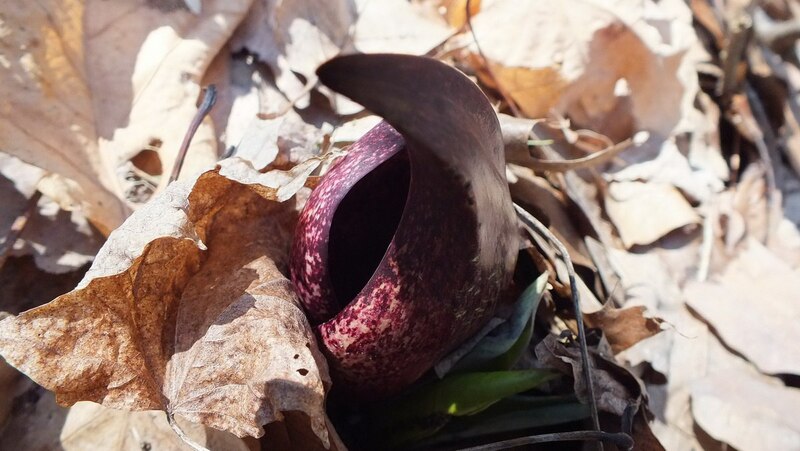 Skunk cabbage is a favorite food for black bears, after they get out of hibernation. 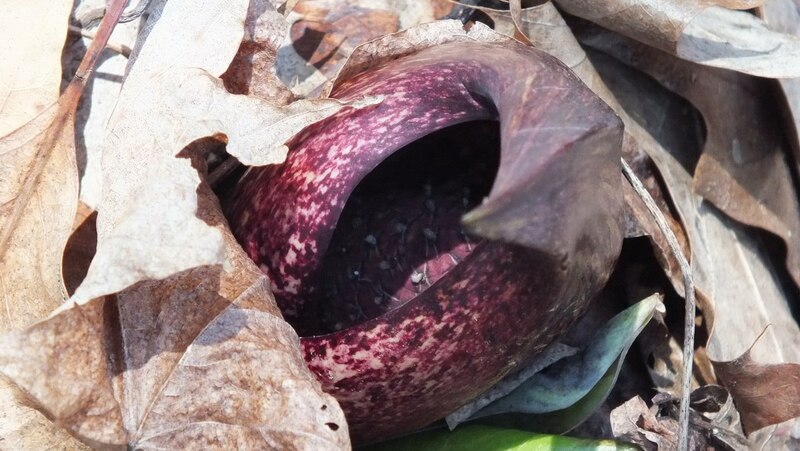 They like greens, such as grasses and skunk cabbage, that clean out their systems, after their prolonged winter slumber. In the autumn, their calorie intact is equivalent to a human being eating 28 banana splits a day. When they hibernate, they like snag stumps, where the fallen wood chips provide a nice, warm, and dry bed. A fallen log, will allow snow and rain to get in, and cause skin aliments. Bull Run, the watershed for the city of Portland, Oregon, has the highest density of black bears anywhere in the United States. 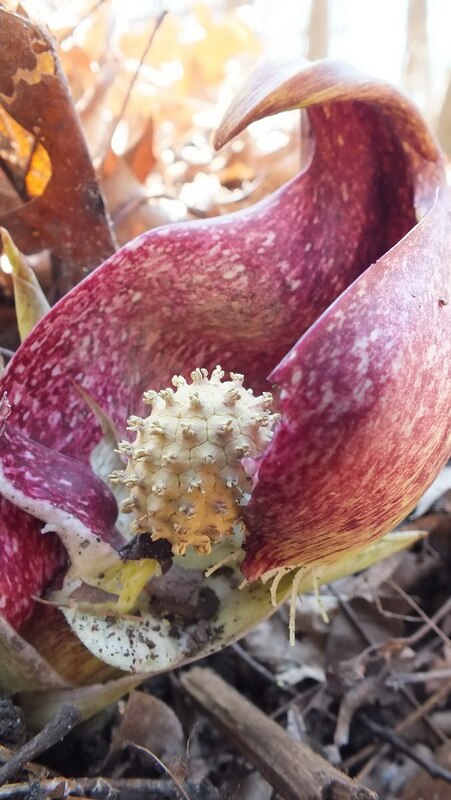 Because of its high percentage of snag stumps, and a lot of skunk cabbage grows there. How fascinating! I guess black bears can tolerate the crystal bundles of calcium oxalates found in the leaves, which are toxic to humans. 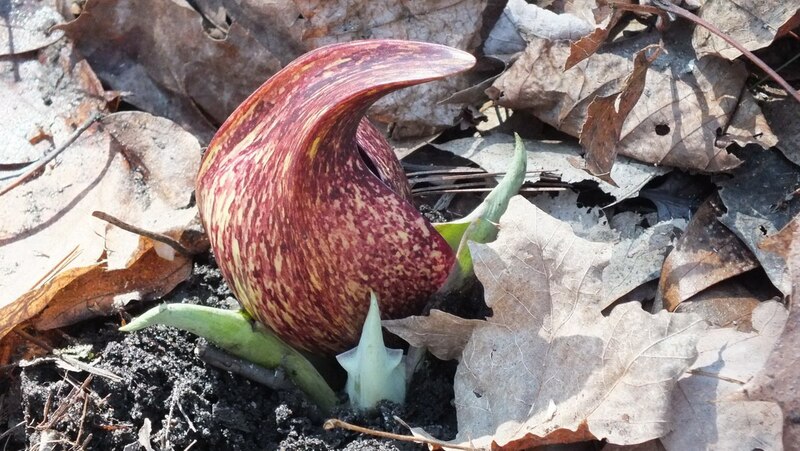 It makes sense that these early shoots of the skunk cabbage would provide much needed nourishment for bears as they emerge from hibernation. There wouldn’t be much else around for them to eat until a little later in the season.